Francine Steelman has served as legal counsel for more than 20-years for both public and private entities with a decade of experience as transportation infrastructure and policy lawyer. 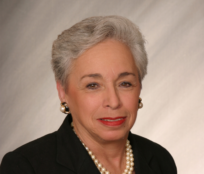 Ms. Steelman has served on the 79th Street Corridor Initiative Board since April 2014; serves as the Chair of Doctors Charter School Board in Miami Shores, and was an invited participant in CityLab Miami (October 2016). She’s an appointed member of the Transportation Research Board, Committee on Emerging Technology Law since 2012; and the Florida Automated Vehicles Stakeholder, Policy, and Planning Committee since March 2015. She obtained her undergraduate and law school degrees from the University of Miami in Coral Gables, FL. She is admitted to the Florida Bar and the United States District Court, Southern District of Florida. She is also a graduate of the International Bridge, Tunnel and Turnpike Association, Leadership Academy and was listed Florida Trend as an Elite Lawyer in Government & Non-Profit. She currently serves as the Associate General Counsel for the Miami-Dade Expressway Authority, which is an independent self-funding transportation agency that manages five expressways in Miami-Dade County. Managing Partner, Norman E. Taylor &Associates, LLC, a business and economic development consulting firm. Consultant to Miami-Dade County and Fort Lauderdale Police Departments. Consultant to Miami Dolphins owner Joe Robbie (New Stadium Project. Helped to establish and lead Broward County’s Small Business Development Office. Broward County’s chief economic development officer. Served on the Governor’s Economic Development Stakeholders Council (Enterprise Florida). Governor’s appointee to the South Florida Regional Council. Key organizer and chairman of the Metro-Broward Capital Corporation. Vice Chair, South Florida Regional Council Revolving Loan Fund, and Chairman Emeritus, South Florida Community Development Fund, Inc. Member Broward Senior Executives Class III, and Lifework Leadership 2013 Class – National Christian Foundation-South Florida. 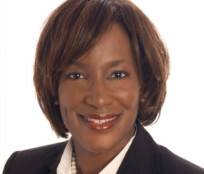 Teri Williams is President and Chief Operating Officer serves on the Board of Directors of OneUnited Bank, the largest Black owned bank in the country. She is responsible for implementation of the Bank’s strategic initiatives, as well as the day to day operations of the bank, including all retail branches, marketing, compliance, lending, information technology, customer support, legal, and human resources. Ms. Williams brings 30 years of financial services expertise from premier institutions such as Bank of America and American Express, where she was one of the youngest Vice Presidents. Ms. Williams holds an M.B.A. with honors from Harvard University and a B.A. with distinctions in Economics from Brown University. 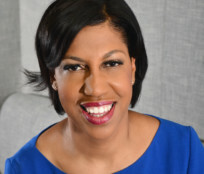 She currently serves on the Boards of the Black Economic Council of Massachusetts (BECMA) where she serves as Treasurer and the 79th Street Corridor Initiative in Miami, Florida. Ms. Williams is author of I Got Bank! What My Granddad Taught Me About Money (Beckham Publishing) a financial literacy book for urban youth. Ms. Williams has received numerous notations and awards for her contribution to urban communities including from the Urban League, NAACP and the National Black MBA Association. Ms. Williams is married to Kevin Cohee and has two children. Rev. Dr. R. Joaquin Willis is senior pastor at Church of the Open Door, U.C.C. in Miami, Florida. With a membership of over 300, the church campus houses a sanctuary and a Family Life Center. The church has a 501 (c) 3, Miami Youth Garden Inc., (MyG), created to assist in human and community development. He serves as a board member, President and CEO of Miami Youth Gardens (MyG). 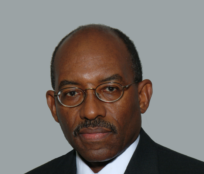 Pastor Willis serves as Board Chair of the Collective Empowerment Group (CEG) of South Florida, Inc. (formerly the Collective Banking Group). The CEG was a key participant in a large, complex, private-nonprofit joint venture, Miami Waymark 2.0 JV, which bid for the redevelopment of Liberty Square, Miami’s largest and oldest public housing project. The long-running Miami Youth Garden (MyG), and the preceding new initiatives are all offered under the CEG’s umbrella concept, The Big Tent. Seeking to engage the entire community into supporting and lifting up those communities that have been unfairly left behind. 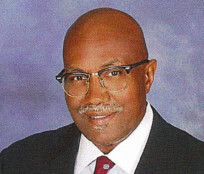 The Miami-based South Florida CEG is an affiliate of the national association of local chapters of the National Collective Empowerment Group, in which body Pastor Willis has served as National Vice President since 2008. He was recognized as the 2012 Black History Month Civic Honoree by Legacy Magazine. In addition, he received the 2012 award for excellence in community development from South Florida Community Development and the 2012 award for “community empowerment” from People United To Lead The Struggle For Equality, Inc. (P.U.L.S.E. ).